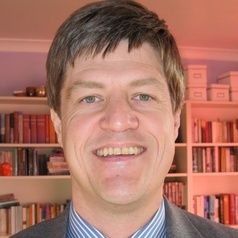 I work in the areas of comparative politics and southern African politics, with a long standing interest in international political economy and the history of political thought in terms of how these fields of study bear on our understanding of political transitions, development, democratisation and the evolving nature of the postcolonial world. My research has increasingly become focussed on Africa's changing role in the global economy, in particular on Africa's energy (oil and gas) markets in the context of the competition between US and UK companies and those of the emerging powers. Another area of recent research concerns comparative and theoretical aspects of Anglo-American conservatism and its applicability to the study of postcolonial politics. My research at Queen’s has been funded by the ESRC World Economy and Finance Research Programme, the British Academy and the Nuffield Foundation. Publications indicative of my key research interested have appeared in journals such as Political Studies, Political Geography, Business & Society, Third World Quarterly, Democratization, and Journal of Contemporary African Studies. I am the author of Africa’s Development Impasse: Rethinking the Political Economy of Transformation (Zed Books) and am currently writing a book entitled Conservatism and Postcolonial Politics (under contract with Routledge).